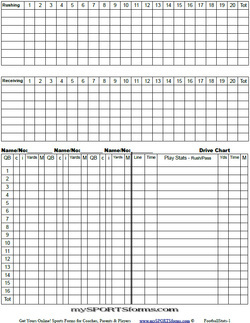 substitutions and keep track of player stats. 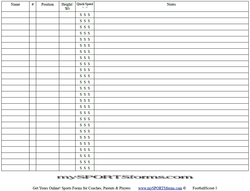 Most popular youth football ball for Pee Wee leagues (6 - 9) year olds. 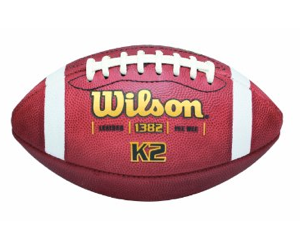 The Wilson K2-Pee Wee Game Ball has a firm texture for a solid and comfortable grip and feel. 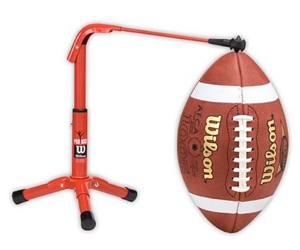 The Wilson Pro Kick is the perfect way for kiers to practice without a holder. The Wilson Pro Kick holds any size football to the desired angle and collapses for easy transport. 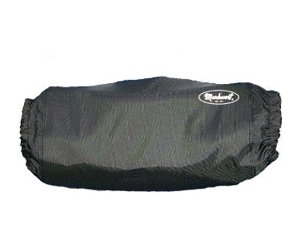 The Markwort 13" by 7" adjustable hand warmer is great. 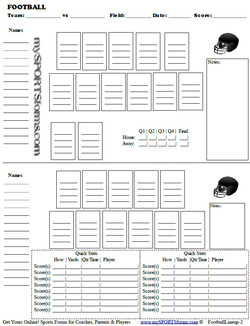 Add in a few Grabber Hand Warmers for $7.00 and the cold won't bother your players. 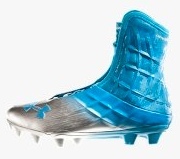 Also popular among fans and field support personal. 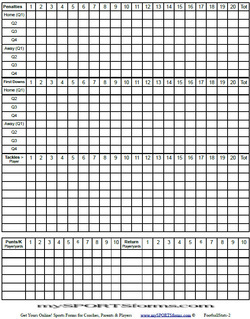 Football strength exercises have to be dynamic in nature and focus in in the development of your power & strength, together with overall conditioning. Football is a physical and hard hitting game and your body has to be conditioned to optimally withstand the rigors that this sport places on you. 1. Kettlebell jerks are a good method for you to strengthen your shoulders and develop an essential level of hip power, center strength, and overall body control. your stance slightly wider than shoulder width apart. From the ground you’ve got to perform the clean and rack the bell(s) at your chest before you begin. The following gets you into the crucial position to execute the jerks. Next, execute a “hip pop” by rapidly and powerfully flexing and stretching out at both your hips and knees to be able to generate a vertical lift to propel the kettlebell(s) above your head to a based position. Your football weight training plan just got an upgrade with this lift. lift for you to practice to help with your front squat technique and to enhance on your front squat range of flexion altogether. This is also a tremendously hard hitting lift to help you create strong hips, heart strength, and overall stability to enhance on your other related football skill areas. 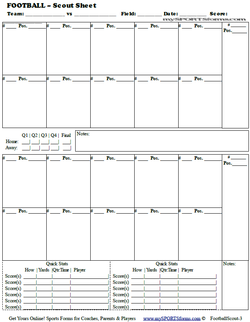 Again you will need the availability of either a single or couple of bells of moderate intensity. As you lower your self into the squat try to descend far enough so that your elbow(s) touch the insides to your knees. This is how you know that you have obtained a great range of motion for the lift. As you ascend in place out of the squat make sure to lock out at both your hips and knees. 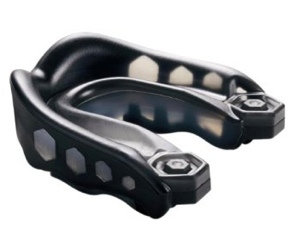 Check out the videos for more ideas on Dragon Door online. 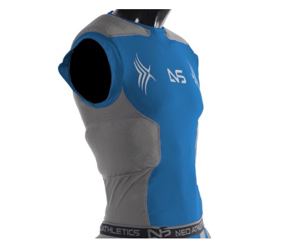 The Neo Prodigy 5 Pad Football Shirt is Ultra light and one of the highest rated protective shirts on the market. 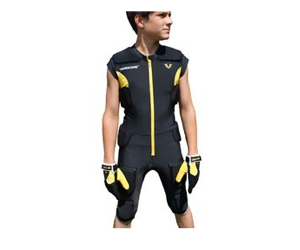 This protective suit provides maximum protection, it's made of light weight quick dri fabric and the unique design helps prevent pads from shifting. 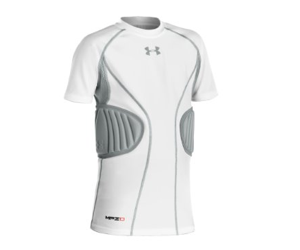 A nice 2 Rib T-Shirt by Under Armor, the shirt uses 4 way stretch construction to help improve mobility. Ventilation system will help keep you cool and dry. 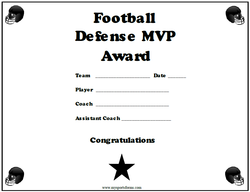 Drew Brees. Payton Manning. Eli Manning. Three MVP quarterbacks. All Super Bowl Winners. And before all of that, they played youth football. Youth football is where it all begins. It cannot, however, begin with You, Coach. At this stage of football, level 1 if you will, your goal is not to train an NFL caliber quarterback with a defensive line that would put the Pittsburgh Steelers (Most years) to shame. It is to teach the kids the real meaning of football. 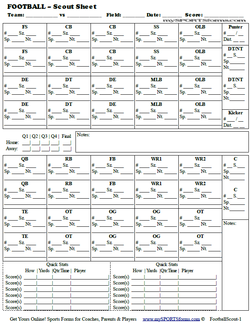 Before you get into all of the X’s and O’s, the kids need to understand one thing. Sportsmanship. The act of showing your opponent that, while they are the enemy during the game, once that game ends, you respect them, like you would your best friend. And even if they are the enemy during the game, you still respect them. Helping the other player up after a tackle, taking a knee during an injury timeout, both come to mind. At the end of the game, each kid needs to understand be a good sportsman with lining up and slapping of the hands with the opponent. Now, lets get down to the nitty gritty. Every kid should play in every game. 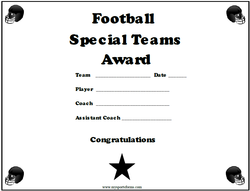 No matter if they are the 12th string kicker. It keeps them motivated, number two on the list. Do everything you can do to keep them motivated. Not every game is a win and it is a tough pill to swallow when a loss happens. With your assistant coaches to keep them pumped up and ready to practice on Monday. Each kid on the team should have some impact on the team, no matter the talent level or reason for being there. Most kids will be there because they want to be there. Others are there because parents said they had to be there to keep their allowance and get them off the Xbox. And for others, its a much better alternative to being on the streets. No matter the reason, make use of the talent you have.